Myself and the good lady headed off to Rhodes in Greece for a week and of course I packed some LRF equipment - mainly Reins lures and a pack of Isome. 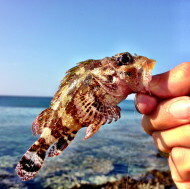 Had great fun one morning fishing the edges of rock plates from the shore catching plenty of Scorpion Fish and a few Wrasse. 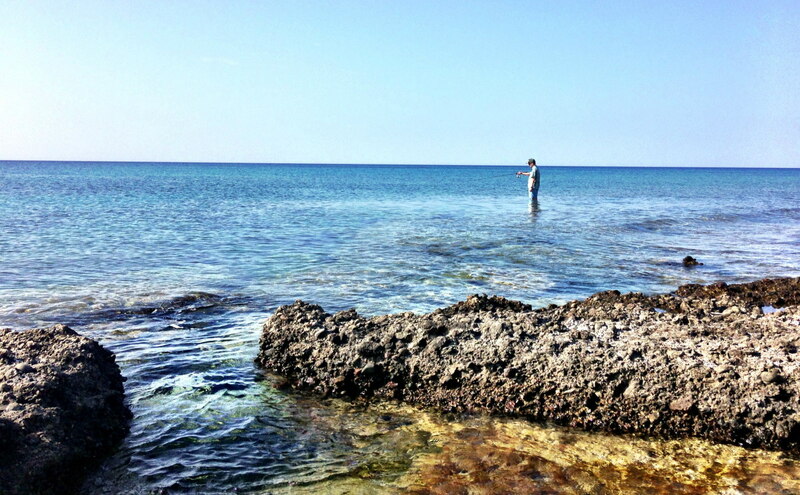 But the highlight was hiring a self-drive boat for a few hours and fishing the edge of the reef in crystal clear water. I must admit it took me a while to get into it - which is stressful when you're paying by the hour! 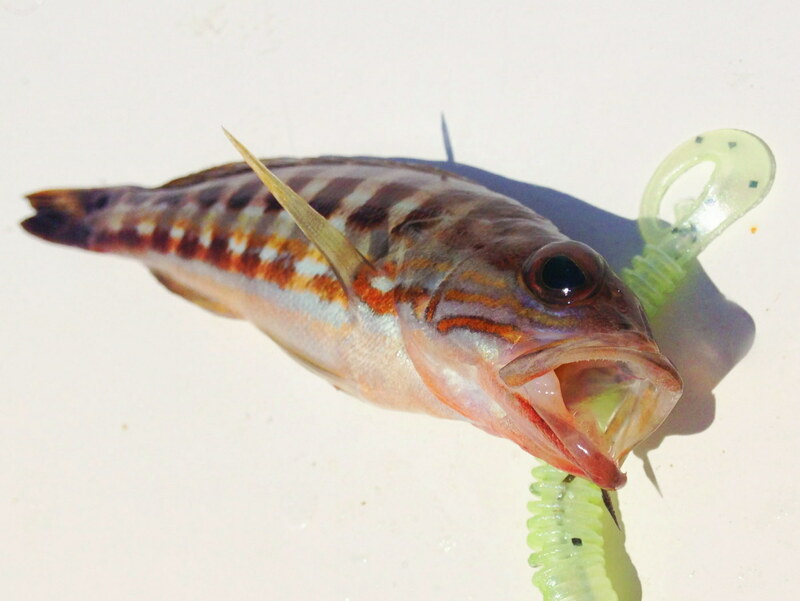 But once I reverted to what I know - sink and draw with soft plastics - the mini predators kept coming. It was huge fun with each fish trying to make the reef once it had hit the lure. 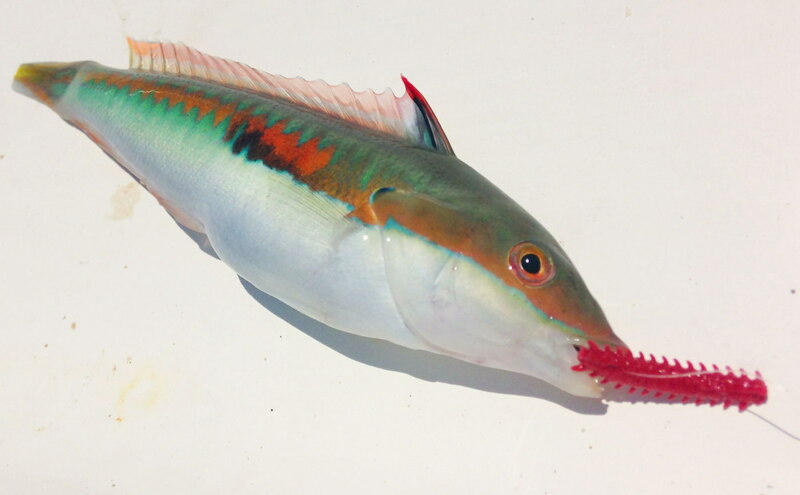 There were untold masses of Painted Comber (Sea Perch) but other fish species were there if they managed to beat these super aggressive fish to the lure. I had another type of Comber and then something new. At first I thought it was a bream but on closer inspection it seemed to be thicker set. 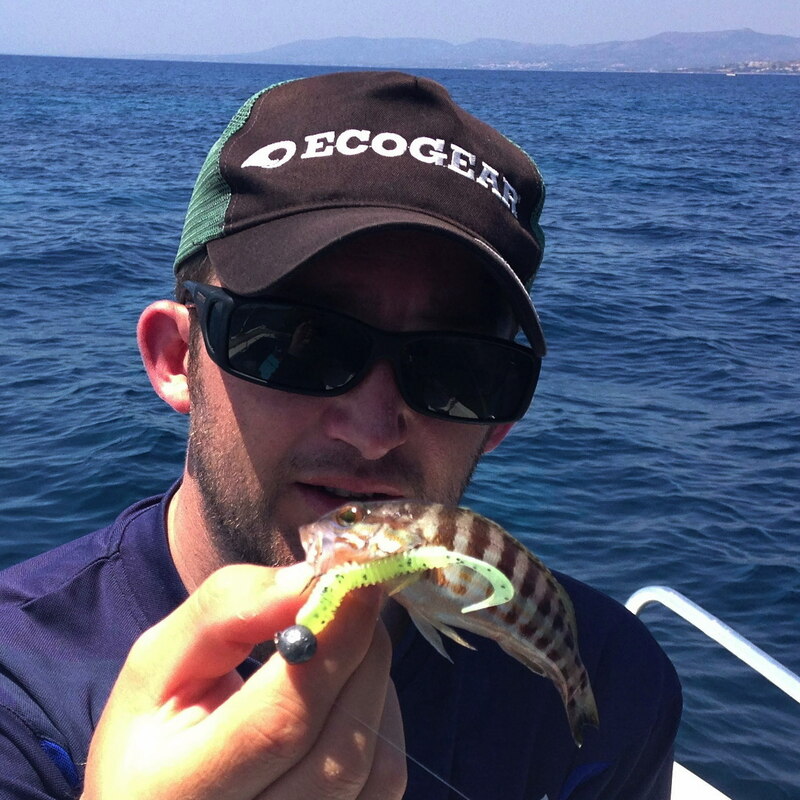 It had a hint of Trevally about it. I 'think' I bagged my first Dentex. 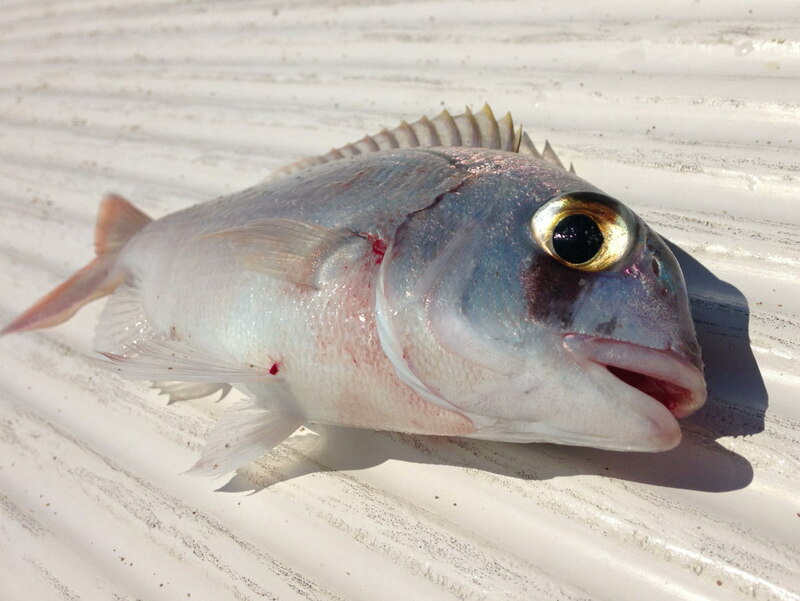 I've seen the super cool 'eye mask' on juvenile fish before. Happy to take suggestions if you think my prediction is incorrect. It's a shame I ran out of time before cracking the code on other species. 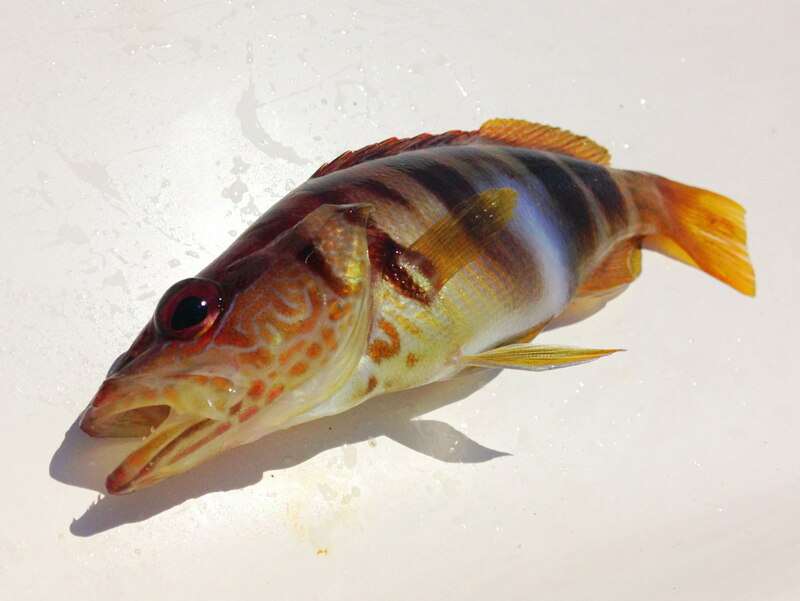 I know Dusky Grouper were present as I'd seen them snorkeling, plus occasionally I'd get hit by something which completely annihilated my lures. 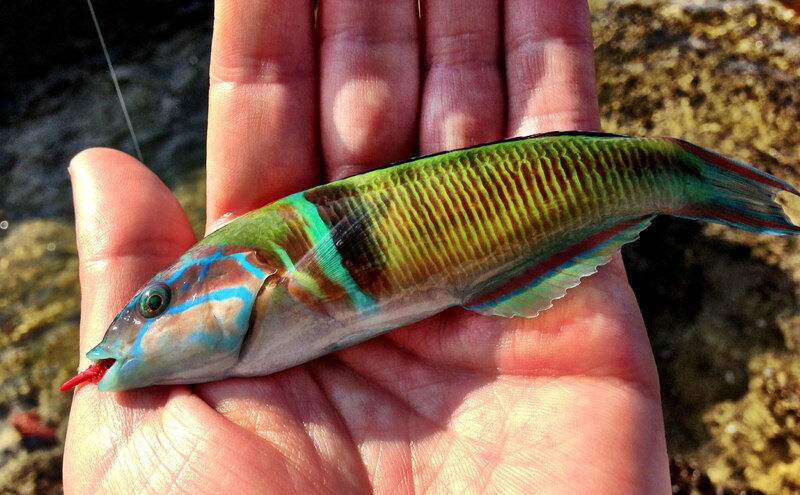 I guess, Parrot Fish or a wrasse species. Would have loved to have more time. Hmm. 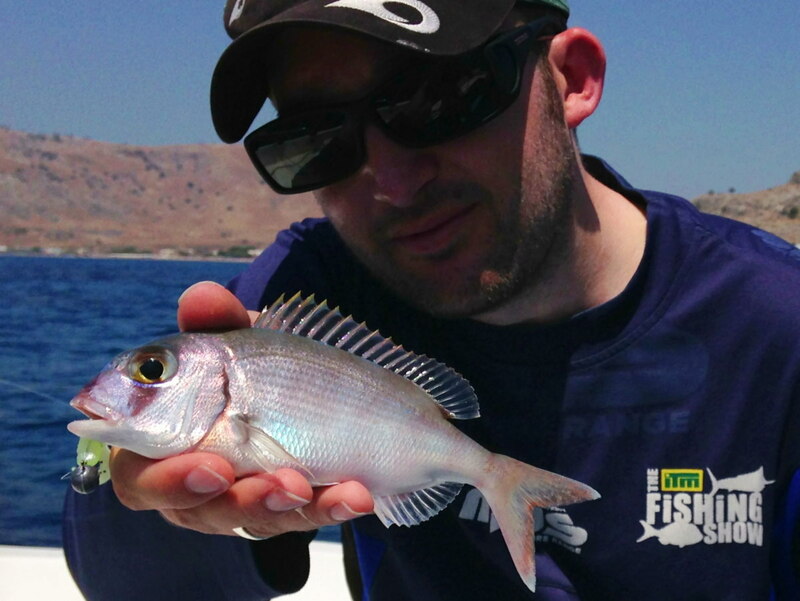 After some extended fish revision, I’m now thinking it’s not a Dentex but my first Couch’s Sea Bream. I’m happy either way! Opinions? Hi, I am going to rhodes next week and I would like to go boat sea fishing. Where did you do this, i.e. which part of the island? Which service provider? Hi Ben. There’s a few self drive boat services scattered about. 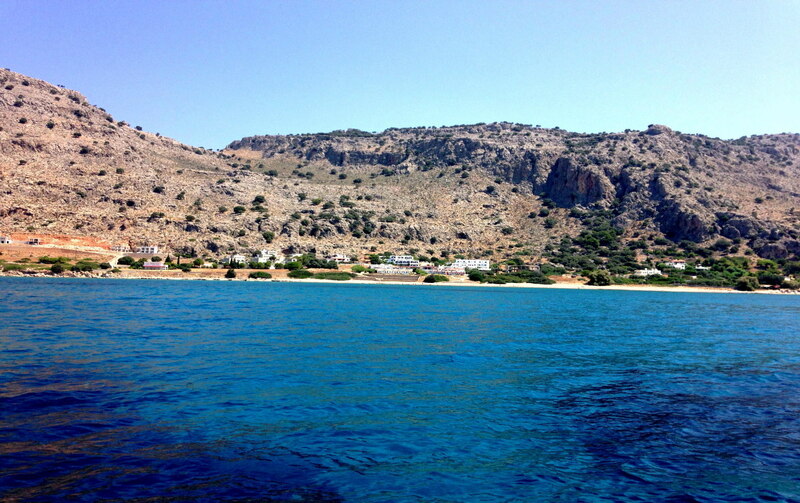 I took a boat out from Pefkos main beach. 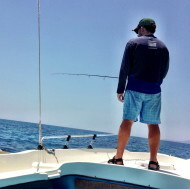 The guy specifically quotes ‘fishing’ as a specialty and has a few buoys positioned on some marks in deep water (although I did better close in, on the drift). 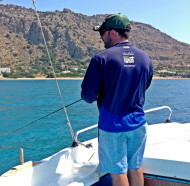 Prices seemed more expensive than some Greek islands but includes your fuel – better if you’re motoring around, not sat fishing, but I couldn’t find a cheaper offer. There’s a hire place at Lindos too. The rock marks around the point look fantastic but whether they’d let you near the rocks is another matter. Good luck! Looks like an awesome trip! 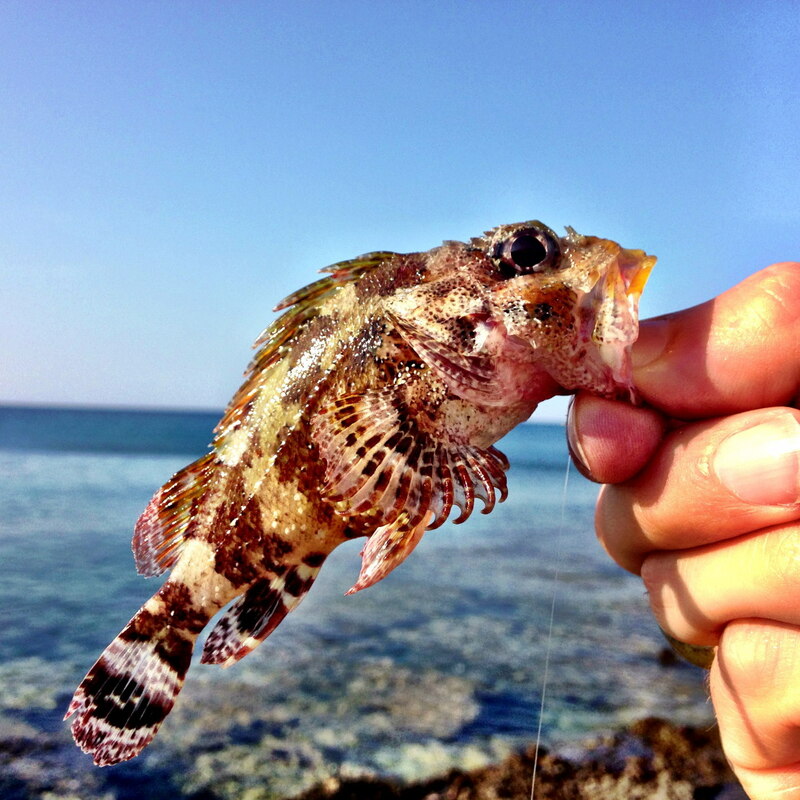 Love the picture of the scorpion fish, I have no idea what the Bream looking one is, but I think it’s sure to say they spend a lot of time on the look out for predators… those eyes are enormous!